In which … this post has absolutely nothing to do with basketball … and everything to do with all the things that kept me amused this month. March arrived like a lion; wind literally roaring around the corners and March left like a lamb. The final day of March was absolutely gorgeous – sun shining, a gentle breeze and perfect blue skies – if that’s not the weather version of a lamb, I don’t know what is! Still Me by Jojo Moyes – Oh how I loved this book! It continues the adventure of plucky Louisa Clark as she heads for NYC to work alongside her friend Nathan in the house of wealthy New York socialites. Lou tries to balance her new life in New York and her budding relationship with ambulance Sam in London. This book was warm, funny and so very enjoyable – I absolutely can say without hesitation that all three of Moyes books about Louisa Clark are among my very favorite! The Nightingale by Kristen Hannah – Such a gripping book; it tells the story of sisters Vianne and Isabelle living in France during WWII. Vianne is the oldest and is reserved, quiet and timid while Isabelle is headstrong, impatient and impulsive. As the war rages around them, both discover they are much stronger than they ever thought they could be. I would highly recommend this book … but I will warn you, I sobbed at the end! The Boy in the Striped Pajamas by John Boyne – A short book, this one is just over 100 pages but boy it gets the point across in those few pages. The story is told from the perspective of Bruno, a 9 year old German boy who is uprooted from life in Berlin and moved to “out-with” when his father; a high-ranking German officer, is promoted. His older sister’s room has views of the woods, but Bruno’s room looks out over a large community fenced with barbed wire, where everyone wears the same striped pajamas. Upon an exploratory adventure, Bruno discovers and befriends a young boy named Shmuel who lives on the opposite side of the fence. Night by Elie Wiesel – A short but incredibly powerful story by Auschwitz survivor Elie Wiesel about his time spent at the camp. The story centers on his family being moved to Auschwitz, where he is immediately separated from everyone but his father and then spends the subsequent months doing his best to keep both his father and himself alive. Wiesel does not hold back in detailing the horrors of the camp and while the book is barely over 100 pages, the story will stick with you far longer. Born Survivors by Wendy Holden – This book is still on my mind; such a powerful read. The book tells the story of three Jewish women who entered Auschwitz pregnant and not only managed to conceal their pregnancies but maintain their pregnancies, give birth to their babies and keep them alive through the liberation of the camps and beyond. All three women were around seventy pounds when they went into labor…one baby was born in the hospital of a factory camp, another baby was born on one of the cattle cars that transported the Jewish people and another was born at the gates of Mauthausen. The stories are incredible and inspiring and all three “babies” are alive and well today. I’m not sure what I’ll pick up in April… I’ve made my way through almost every book I bought last Spring, the only thing left is The Book Thief* and I’ll have finished them all. So what I read in April will be a surprise…even to me! Although I think at this point, it probably needs to be something NOT about WWII and the Holocaust. I started reading The Book Thief just a couple days ago, so I guess I’m going to finish up all the WWII/Holocaust related books after all! The Alienist – What an excellent show! I eagerly anticipated this since March of last year when Luke Evans began posting on Instagram about the show and I’m so glad I decided to give it a view! The gorgeous costumes, the stunning set pieces and the attention to detail for the setting of turn of the century New York (actually filmed in Budapest) are perfectly matched with the actors portraying the three main characters. The story line is intriguing and builds each week, with twists, turns and thrills and the finale wrapped the story up perfectly. I’d highly recommend watching this if you haven’t given it a shot – all ten episodes are now available. So many of the shows I’ve been watching had their finales this month – This is Us and Home Town are at the forefront of my mind…and The Alienist even bowed out on the 26th. A Wrinkle in Time – My Mom and I went to see this at the beginning of the month and it was good. I honestly remember the strange cover of the book from my childhood but I do not remember reading the book…so I went in with no expectations. The movie was very good; if a little strange at times, but altogether a really fun watch. The little boy that played Charles Wallace (picture below in the middle) absolutely stole the movie, he was precious and owned every scene he was in! And Chris Pine…well…there is nothing bad about Chris Pine popping up in any movie, ha-ha! Tomb Raider – I really loved this movie! I went into it knowing next to nothing about Tomb Raider, but I like Alicia Vikander and I sort of assumed that it would be like a female Indiana Jones. It was exactly like that and I loved it! Legends and mystery, a curse surrounding a tomb on a hidden island, action and adventure, solving riddles and puzzles…this movie had all of that, but with a woman leading the way! I loved it! I hope it spawns another couple movies because I will be in line to see them! So many delicious things in the month of March – both sweet and savory! Brunch at Regions 117 never disappoints and the waffles with cinnamon frosting and orange marmalade was to die for! A new wood fired pizza place opened and the tomato basil soup is divine as was the Tijuana…a pizza with spiced beef, cheese and sour cream! We popped into Chuy’s this month for some killer Mexican food and my Mom flashed her amazing cooking skills with a mouth-watering key lime pound cake! There were more cupcakes, sugar cookies and macarons than any one person should eat and plenty of Easter candy. I’ll be worshiping at the feet of the elliptical for a while…but boy, it all was so good! I’ve spent the month listening to a lot of podcasts – no surprise there. I’ve really enjoyed The Bible Binge; a new podcast from Knox & Jamie @ the Popcast, the Bible Binge casts and reviews your favorite and lesser known Bible stories to make them relate-able to anyone who is looking to learn and laugh. I can’t say enough about how fun, funny and interesting the Bible Binge is – and there are only six episodes in the first season, so it’s a quick listen! Nationals Baseball – Baseball is back and I; for one, could not be more excited! If you’ve popped into the blog more than once, you are probably well aware that I’m a dedicated fan of the Washington Nationals. My first game of the season is just a couple weeks away and I’ve already got two more games lined up for early May! I can’t wait to be back at Nationals Park! 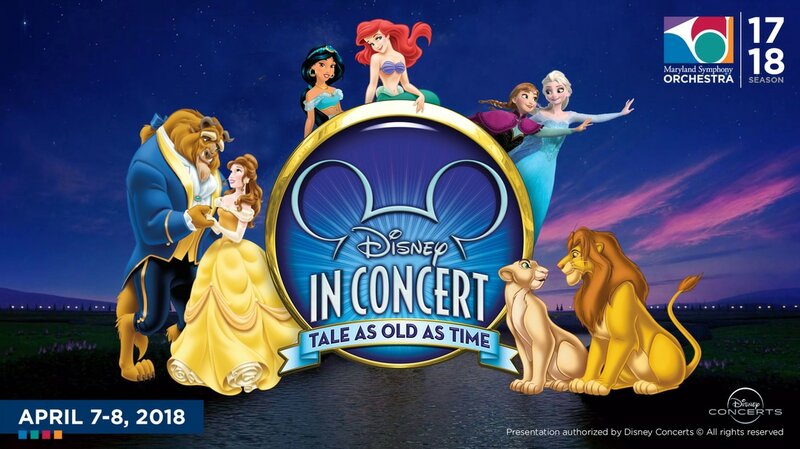 Disney in Concert: Tale as Old as Time – The Maryland Symphony Orchestra is putting on Disney in Concert and I am so excited to be going to take in a performance! I love hearing live music and I especially love when that music is from Disney! I’m sure this will be so much fun! 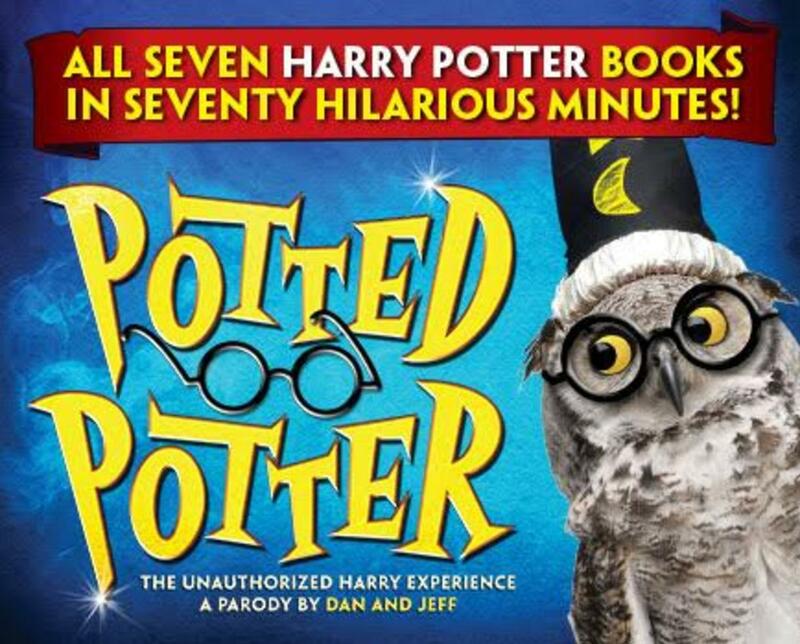 Potted Potter – A two man show that manages to cram all seven Harry Potter books into one seventy minute live stage show? Sounds like a riot to me! 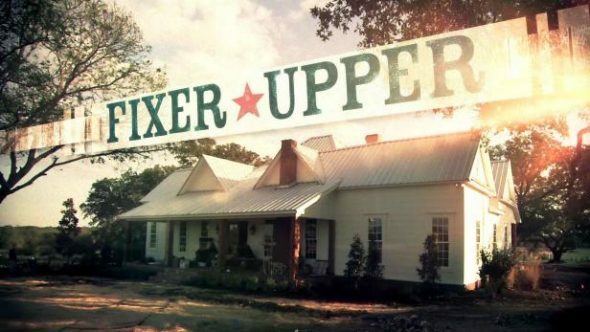 My friend Rachel and I are heading into DC to check this out mid-way through the month and I can’t wait to see what this show has in store! Joining a Church – While this might seem small to some, my faith is the defining factor in my life and I’m so glad that after three+ years of living in Northern Virginia and visiting churches, I’ve found a place to join. I’ll be joining Abundant Life and I cannot wait to see what the Lord has in store for me as a member of this church community! Returning TV Shows – Two shows that I really love are returning in April and I can’t wait to see what each one has in store! At the beginning of the month is Legion; a show starring Dan Stevens as David Haller, one of the most powerful mutants alive. The first season was a real mind bender…as David isn’t really sure if he’s hearing voices, if he’s sane or if he’s just extremely powerful (hint: it might be a combination of all three…) And at the end of the month is Westworld; the HBO series starring Evan Rachel Wood as the completely lifelike robot Dolores – one of many in a “theme park” where the attractions have become sentient and realize they’d rather fulfill their own dreams than those of the people paying to play at the park. 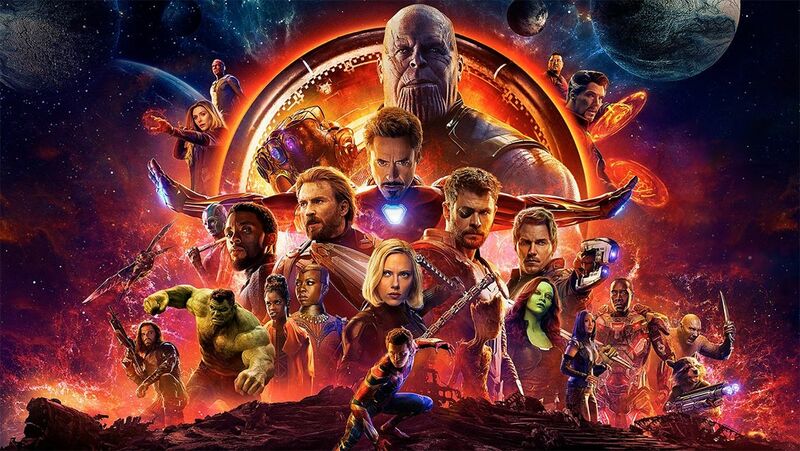 Infinity War – I am so looking forward to seeing this movie! Originally slated for a May release, it was moved up a week and I am so excited to check this movie out at the end of the month! My friend Jennie is already getting tickets and I can’t wait to see the movie that the Marvel Cinematic Universe has been building toward for ten years! And that’s all I’ve got for the month of March. I cannot believe the first three months of 2018 are already over and done! Does time move faster every year? I know it (probably) doesn’t…but it sure feel like it!